News & Resources / Photos and Videos / News / Labour Education and Leadership / Federation Day 2016 / Federation Day 2016 - Thank You! Federation Day 2016 – Thank You! 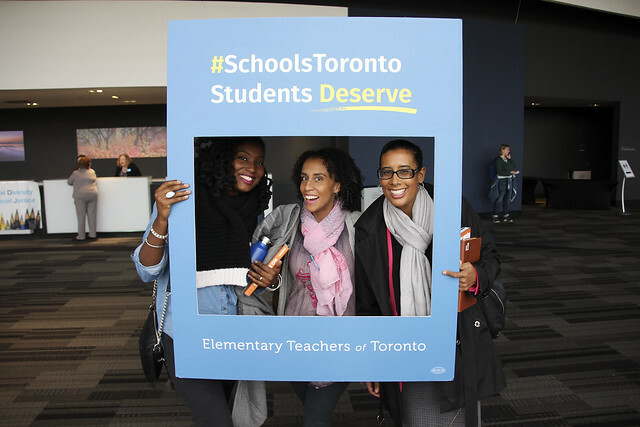 ETT would like to thank our members for their amazing show of solidarity on December 2. Federation Day is only possible through your participation and support. 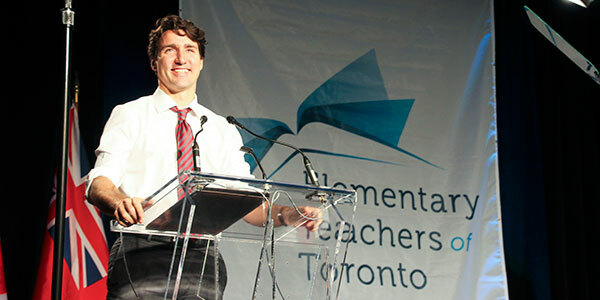 It was an inspiring day, led by a keynote from Prime Minister Justin Trudeau on his experiences as a teacher, followed by a question and answer session with members. The day also featured a facilitated discussion on the importance of union activism with Kevin Millsip and ETT members Timothy Hannah, Laura McCoy, and Marcia Thompson; a presentation by Jane McAlevey on union organizing and big bargaining; and a session with TDSB Director John Malloy on the Board’s direction. Thank you to all of our fantastic speakers. We would also like to extend our appreciation to the vendors at our educational trade show and the presenters that coordinated the professional development opportunities for members during the afternoon session. Finally, to our members, on behalf of the Professional Development Committee, thank you once again for making your Federation Day a success. See photos from the day on Facebook or Flickr. Any thoughts on how we can improve Federation Day? Let us know by filling out our feedback survey. Federation Day 2016 - Thank You!